Home automation is something that has been fantasized about for decades, but is now more accessible than ever before. More companies are beginning to offer “smart” home appliances and fixtures that can be linked to devices like smartphones that are already a part of our daily lives. Home automation is more than a novelty or passing fad, there are some real and tangible benefits to living in a connected or “smart” home. Automated door locks and security cameras that are linked to your smartphone can help to greatly increase the security of your home. You will not have to worry about forgetting to lock the door, as you can easily double check your door lock. If someone comes to your door, you can set up your security system so that it will alert you so you can check your cameras remotely. If you will be away from the home for a while, you can also adjust connected lights and window shades so that it looks like someone is home. Being able to turn on lights from a device, rather than having to stumble around in the dark can decrease fall risks and other safety hazards. Being able to turn off the coffee pot, curling irons, and other potentially hazardous appliances while away can help to reduce fire risks. Having the ability to check cameras while away from home can also allow you to spot risks before your home or family is endangered. Unplugging all of your appliances when they are not in use has always been recommended to conserve energy, but it is something that most people don’t do because of the inconvenience. 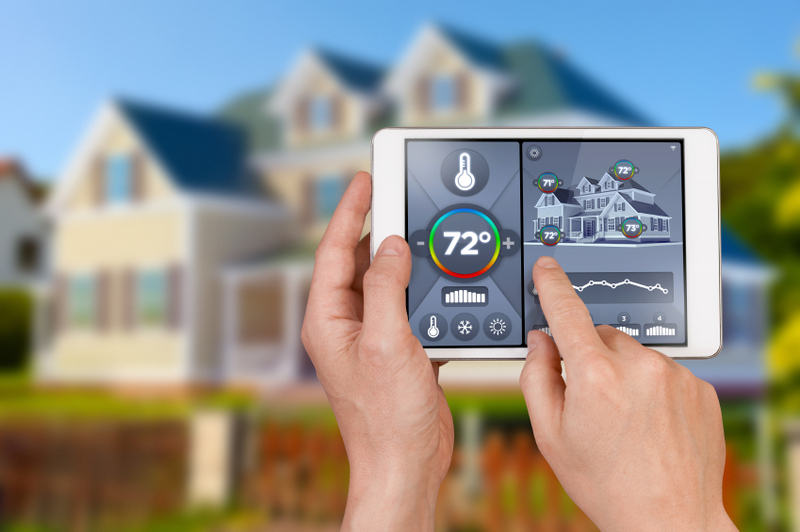 Home automation allows you to cut power to many areas of the home with just a few taps on a screen, making energy efficiency easier. You can also easily check and click off appliances that you may not have realized were on. Being able to control many different fixtures in your home from one dashboard is much more convenient than having to go around to each and every light, thermostat, door, shade, and appliance to change the settings. You can make your virtual rounds at your convenience while sitting down in your home theater or even after you have left for the day. You can also set your home up to be exactly how you want it when you come home, adjusting the temperature and lighting and even turning on some music. To find out more about automating your home, call Home Theater Solutions today!